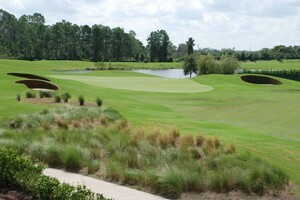 Lake Nona in Orlando Florida is one of Florida's fastest growing areas. Home to over 20 unique neighborhoods and vibrant communities, the Lake Nona area offers lush landscapes against a modern style homes. From affordable to million dollar homes, from townhomes and condos to new construction multi family homes, from pool homes to waterfront homes, Lake Nona has a home to fit your lifestyle. 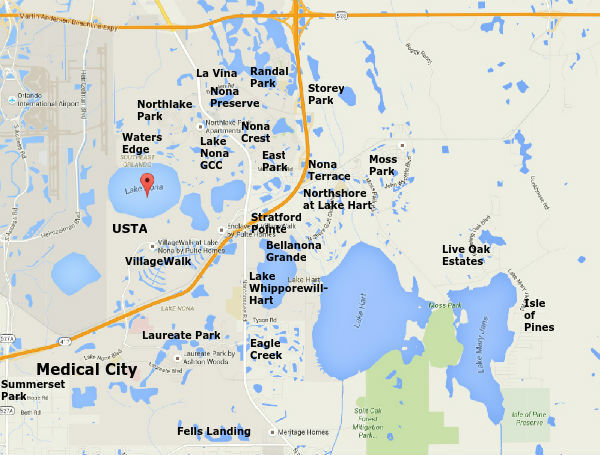 Lake Nona is located in the Southeast corner of Orlando. The Lake Nona area is intersected by the 417 Greenway and the 528 Beachline forms its northern border. Narcoossee Road is its main North-South artery. There are numerous restaurant and shopping options and more opening each month. State of the art education facilities from pre-school to college are located right in the Lake Nona area. 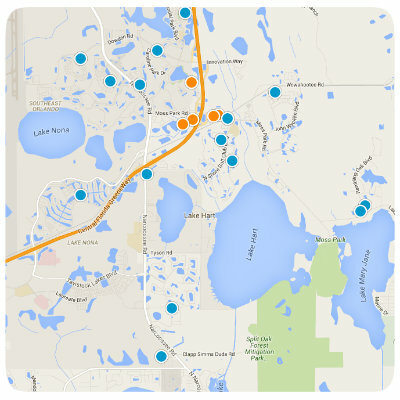 24 neighborhoods currently make up the greater Lake Nona area. 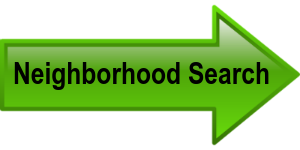 These neighborhoods and communities range from rustic lakeside cabins to townhomes to grand estate homes. Entertainment options abound in Lake Nona. Well known for the Lake Nona Golf & Country Club, the Lake Nona area actually offers two more golf courses in the Eagle Creek Golf Community and in NorthShore at Lake Hart. Moss Park, Orange County's largest park offering boating, hiking and swimming is a great place to relax and enjoy the Florida Nature. For jetsetters, Orlando International Airport is adjacent to the Lake Nona area. And Lake Nona's central location means that Orlando's world famous theme park attractions and its East Coast beaches are a short drive away. Lake Nona is home of the 700-acre biomedical project known as Medical City. The continued growth of the Medical City will employ thousands of doctors, scientists, researchers, and other support staff making Lake Nona's proximity to Medical City the perfect location. With an estimated $2 billion in construction work that encompasses the UCF Medical School, Burnham Institute for Medical Research, Nemours Children's Hospital, a VA Hospital, and the Medical Research Park, the future of this community makes it the premiere spot for medical professionals creating upwards of 30,000 new jobs in the area and adding billions to the Florida economy.